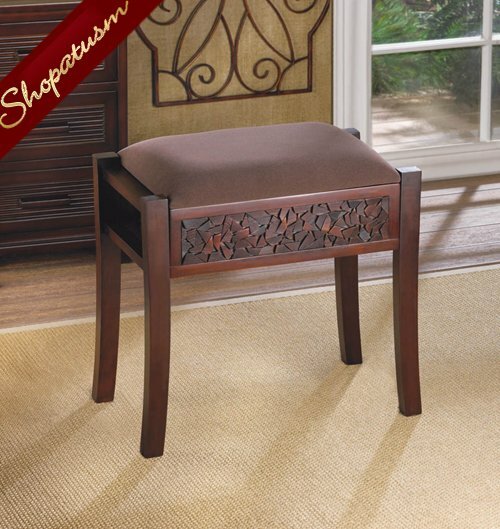 This is for a dark wood brown Regent carved foot vanity stool from Shopatusm. There's a lot of luxury packed into this vanity stool! The beautiful and intricate carving on the base is regal, and the suede-like neutral upholstery will make this rectangular vanity stool at home anywhere. Item Weight: 8.8 lbs. 19 7/8 inch x 11 7/8 inch x 20 inch high. Hardwood.